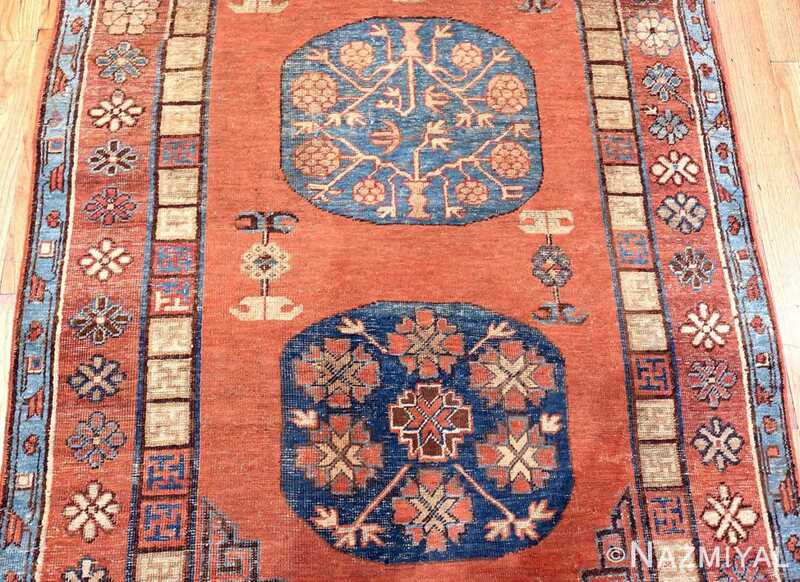 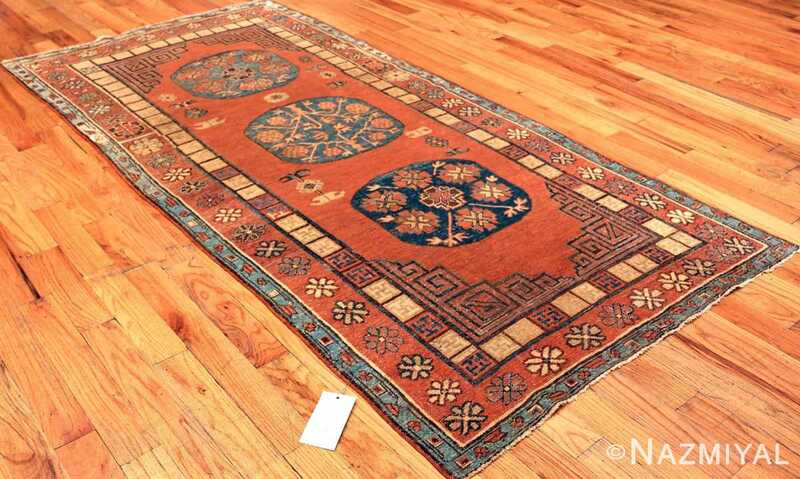 Beautiful Tribal And Rust Colored Background Pomegranate Design Antique Khotan Rug, Country of Origin / Rug Type: East Turkestan Rugs, Circa Date: Early 19th Century – The earthy rust, brown and blue colors of this beautiful tribal antique Khotan rug are only the beginning of its beauty. This breathtaking antique East Turkestan rug was created in the early 19th century in a region that was a major stopping point on the Silk Road. It was a place where many different cultures gathered to trade, exchange goods, and also ideas. 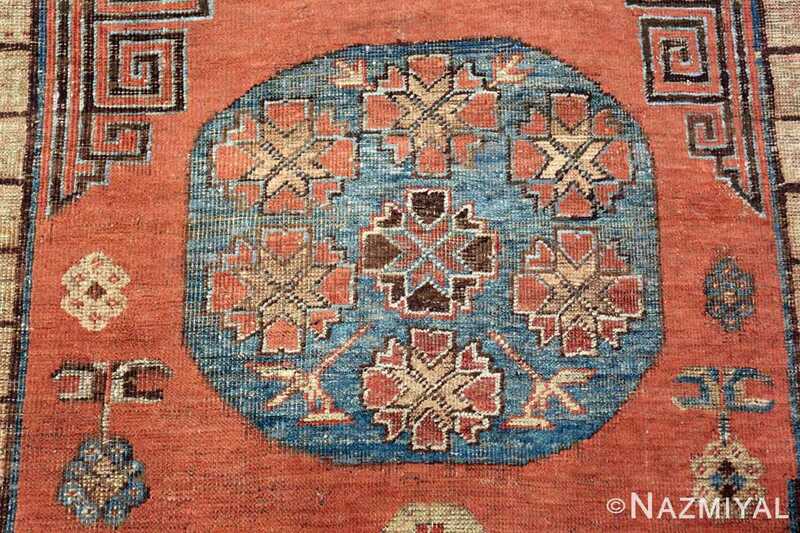 This rug is a part of that tradition and history. 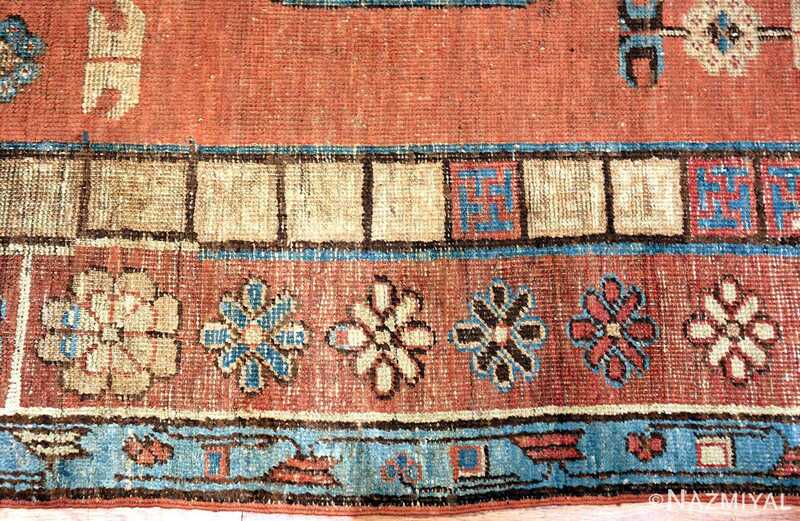 The overall structure of the design is based on the local traditional rug elements. 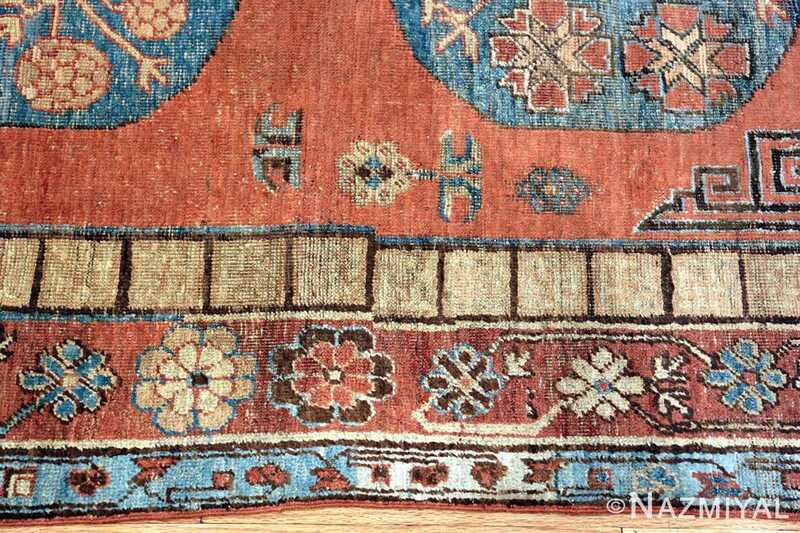 One of the most unique things that stands out about this Khotan rug is its use of the pomegranate design motif in its central medallion. Pomegranate is a symbol of fertility and abundance. 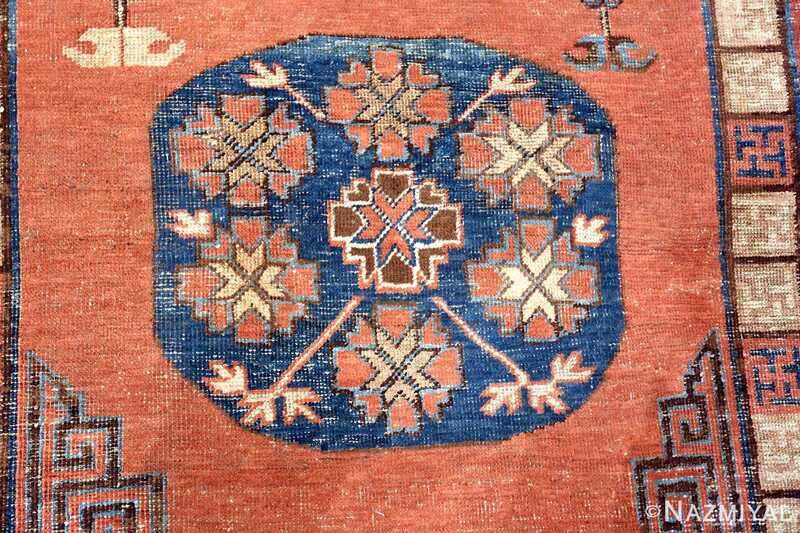 The more tribal rug design combines traditional floral and geometric elements to create a contrast in line and form. 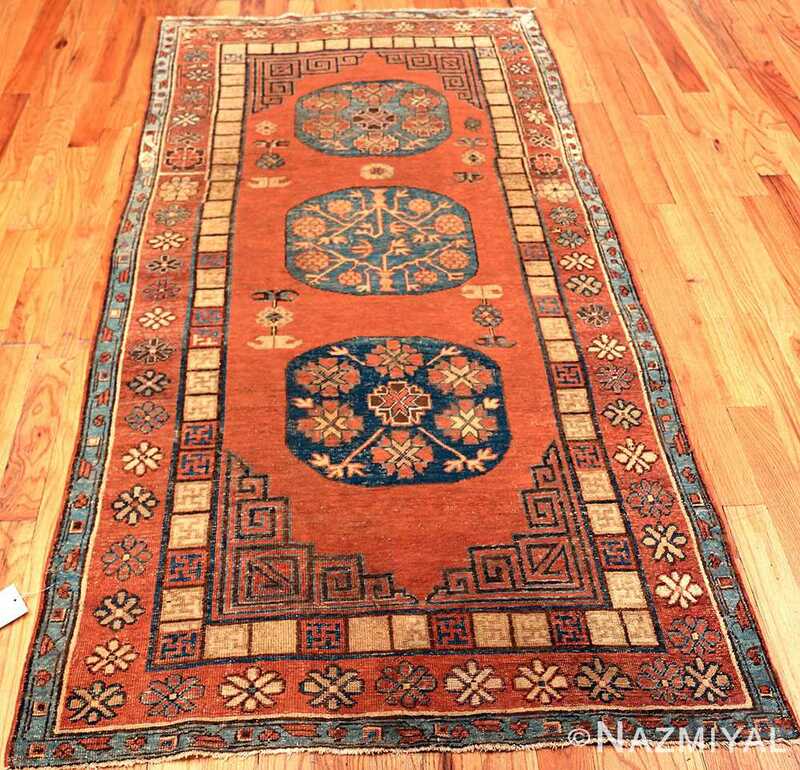 The design is roughly based on a Persian rug medallion and two pendants with formal corner brackets. However, the attention to the central medallion is understated as the pendant surrounding it are of equal scale and proportion. 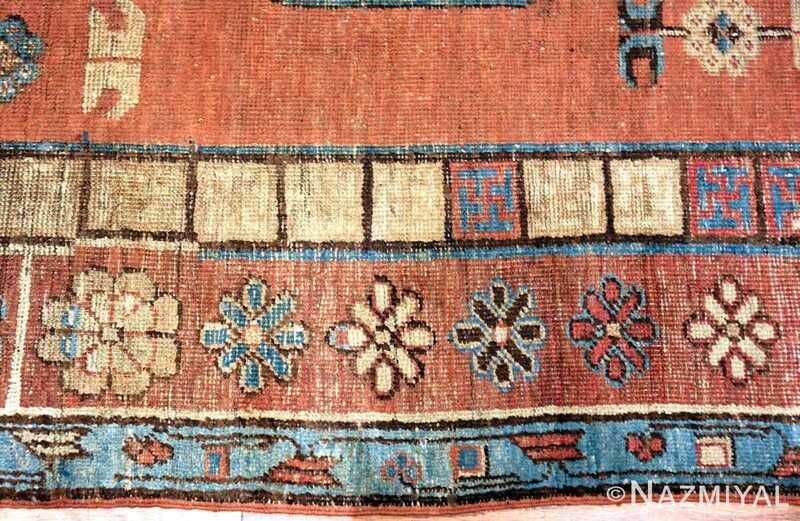 This is more in alignment with the design elements of Chinese rugs, as are the use of linear and angular elements in the corner brackets. The complex borders are a combination of floral and geometric elements that are presented in a way that represents Persian traditions in the design of this magnificent antique Khotan rug. 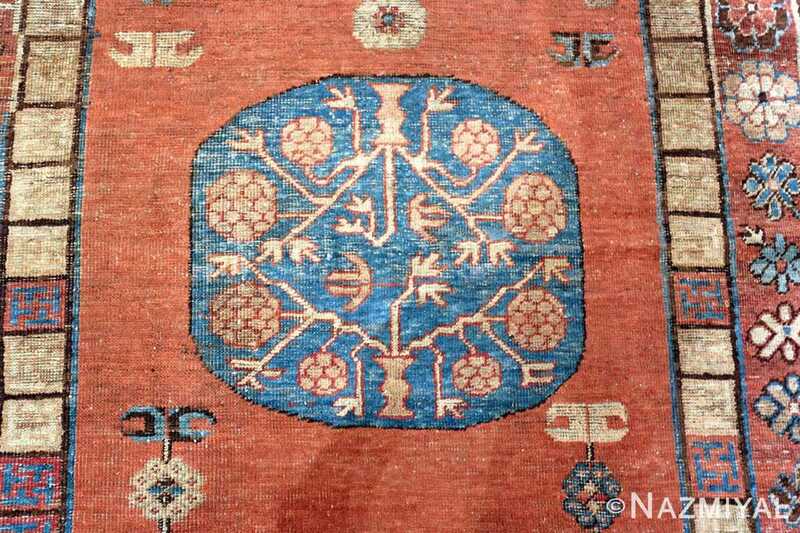 This is a beautiful tribal rust color pomegranate design antique Khotan rug that would make an excellent addition to any traditional or modern design. 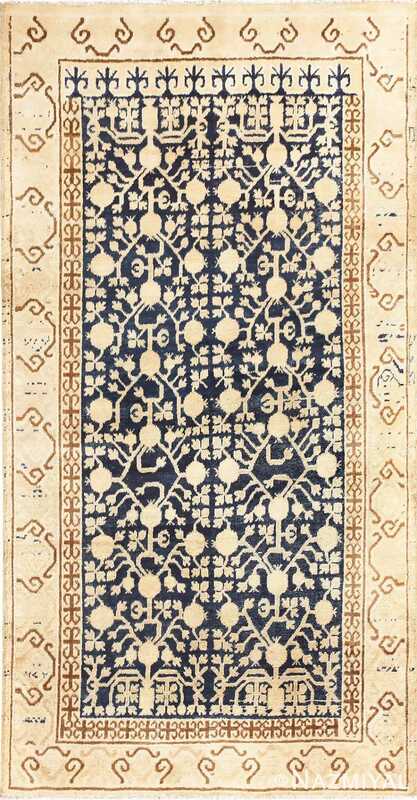 Its use of white space in the design focuses on the beautiful rust color of the background and creates an antique rug that is visually calming and peaceful. This Khotan East Turkestan rug will add the beauty of tribal simplicity, yet an element of formality at the same time, to any room design.